When I joined the FBI, the FBI’s transfer policy stipulated that I could be sent anywhere in the U.S.—the needs of the Bureau would always come before my own. After I told myself that I was resilient and could survive transfer-hell, I learned that every few years the FBI’s transfer policy changed! My biggest fear was to be transferred to a dead-end outpost in the middle of nowhere. The constant threat of change and upheaval made me doubt whether I was resilient enough to always land on my feet. Change frightens us because it is a voyage into the unknown. Ironically, since the unknown forces us to adapt to new circumstances, it is also the place where we can develop new talents and strengths. If we are resilient, we can embark on a journey that moves us beyond self-limiting beliefs, boredom, and lack of confidence. Change is the great dream of every heart because it moves us closer to our full potential. To refuse the challenge that comes with change can be a great act of self-neglect. 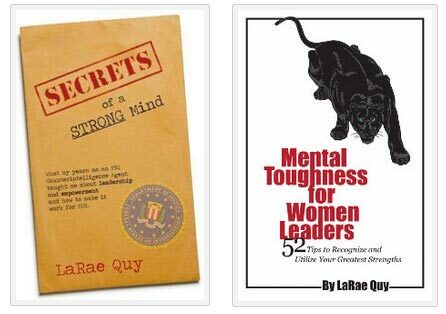 If you have mental toughness, you will do anything to break the cycle of behavior that disempowers you. To push beyond your limits takes a resilient mind. It requires you to move into your discomfort zone and cross a threshold that awakens a variety of emotions such as confusion, fear, excitement, sadness—and yes, dreams. It’s very important that we find ways to feel relaxed with the new direction life is taking us, even if it is unwanted or unexpected. Plans are an easy way to make us feel comfortable and in control. According to social psychologists, we feel the most comfortable and in control of life when our thoughts and feelings are consistent with our behavior. When we think or feel one way, and then behave in a manner that is inconsistent, it produces cognitive dissonance. This creates the anxiety we experience when we try to justify stressful behavior. Plans create a roadmap that can help us work through the stress that is produced when we need to be resilient in the face of change. They are a safety net that gives our mind reason to believe that we are in control. Therefore, we’re more comfortable when we need to make a break from the past. How To Make It Work For You: If you are going to change by moving into your discomfort zone, you need to have a strategy in mind of how you’re going to do it. Keep it simple, and review it often to make sure you’re still on course. Our brain is uber alert for change of any kind in our environment. When our limbic brain detects an abnormality, our animal instinct takes over. As a result, our first reaction is to fight, flee, or freeze. None of these reactions produce the results you need to be resilient in the face of change. Instead, rewire your brain. Psychologist Marilee Adams suggests that questions can virtually rewire our emotions, thoughts, and behavior. According to her research, the probing questions that we ask ourselves can open up our mind. We are then receptive to new information and connect it to what we already know. This allows our brain to assimilate new knowledge about our circumstances so we can develop a comfort zone that lessens stress. How To Make It Work For You: Ask questions that probe the facts surrounding your new situation. Questions are piercing little darts that expose hidden anxiety. Once they elicit an honest answer from us, we are able to name the beast in the room—that is, the fear we are experiencing. It is, however, essential to honestly name what is going on before you can trigger change in emotion, thought, or behavior. When change is foisted upon us, we’re often left with an overwhelming feeling that at the end of the day we can only accept our fate. While that is true to some degree, a resilient mind will find ways to adapt and adjust in a way that will leave it in control. Small wins are critical because they make the change real. They also create the opportunity to build momentum. Confidence is produced as we move past our self-limiting beliefs and become more resilient. How To Make It Work For You: The way to adapt to new circumstances is to look for opportunities to improve your situation in small, continuous steps. Continuous improvement is key because it also implies steady movement forward. Small steps allow you to make changes, monitor the results, and then adjust as needed. Whether you chose your new circumstances, or they were foisted upon you, doubters and haters are likely to rear their ugly head. There are people who spew negativity wherever they go, and if you’re smart you’ll turn on your heel and head in the opposite direction. This is not so easy when the doubters are members of your own family. As they say, “Pick your friends well because you’re stuck with family.” It’s important to realize that most people are negative as a result of their own problems and issues. Be very intentional about those with whom you share your plans and dreams. Think about how you might connect with people who are wiser and more experienced than yourself. If there are people who will not support you, don’t spend as much time with them, or limit how much you see them. How To Make It Work For You: Identify two or three (or more) people you admire and respect with whom you can sit down with on a quarterly basis to review your progress. These are the same people you can turn to when times get tough as well. New circumstances may require new habits so we can remain diligent and resilient. Psychologist Wendy Wood suggests that 40% of the time we don’t actually think about what we’re doing. This is because our mind is trained to fall back on habitual behaviors. Habits are hard to break because they are found in deeper structures of the brain. This leaves much of our working memory available to deal with everyday surprises and situations. Habits don’t need as much of the brain’s energy, so changing them takes a lot of attention. How To Make It Work For You: A change in your situation is the perfect time to establish new habits because the old ones are more easily disrupted. Immediately replace an old habit with a new one. Stay aware of a change until it becomes a new habit. Don’t push yourself too hard or too fast because this may only cause you to slip up. Wimps are not resilient because they don’t know how to move forward when the going gets tough or uncomfortable. They roll over and play it safe. Grit is your ability to persevere over the long-run and thrive despite all kinds of unplanned events. 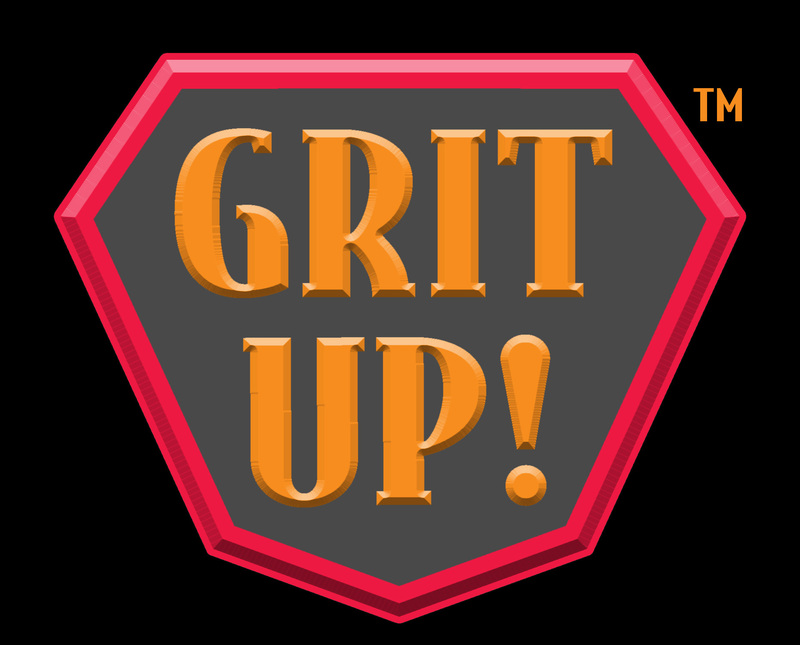 As leaders, entrepreneurs and business owners, grit is an essential skill because it is the one thing you will need to succeed. If you give up when the going gets tough, you’re done. Talent does not trump determination. Nothing is more common than unsuccessful people with talent. Grit, persistence, and determination will keep you moving ahead when your circumstances and environment has changed. How To Make It Work For You: Face your problems head on. It isn’t your problems that define you—it’s how you react and recover from them. Your problems are not going away unless you do something about them. Do not quit when you feel you can no longer deal with a crisis. Have the grit to stay in the game but be flexible with your idea of what is “right” as you approach your new situation. Thanks to you I finally have some insight into why The Work of Byron Katie has a positive impact on so many people. Recently, I’ve been working with someone who’s frustrated that things appear so easy for others and they’re not getting recognized. When it comes down to it, they’re putting in little effort but just want to magically be the best. Without grit, when the going gets tough, we just give up and blame everyone else. That’s a terrible way to live. As always, appreciate your insights and plan to share both on and offline. Terrific post LaRae! All your points are excellent in helping us be more resilient. Love the idea of developing new habits when we make a change. That is a perfect time. I would just add that keeping an open mind and be willing to learn new skills and knowledge can be so empowering during times of change. When I face new challenges in my work I do research and try to get comfortable with the material before moving forward. About two years ago, my company suddenly decided that they were going to make nearly all their IT staff redundant. They did, however, say that “the opportunity may exist for redeployment elsewhere in the company if suitable roles exist”. The next time we met, his face was an utter picture, because the supplementary CV showed that I had worked with people way above HIS pay grade, that I had previously been given a position of high trust in promoting the organisation’s work publicly, and that I had done things that he would never do – won international awards, had books published, engaged with legislators and CEOs of top international companies and moved in circles he could never aspire to. He avoided me as much as possible after that. It changed nothing; I still ended up leaving that company. But I felt that I had taken back control of my end of the process; I’d done everything I could to maximise my chances of keeping a role with them, and if they couldn’t see that, then it was their problem, not mine. I felt it gave me the moral high ground, and the company was doing so little for me that even that intangible victory was worth having. And it set me up for the six month job search that I then went through (successfully). As you said, it was a small win – perhaps as small as you could get under the circumstances – but it improved my resilience. It made me realise that I had skills beyond the ordinary that would impress an employer. And in the end, it did. It was just a matter of finding the company who would be impressed! Great stuff Larae! I meet so many people who think that almost everything is out of their control, and I understand how and why they feel that way. Sometimes it’s the absolute truth, and there’s nothing you can do to overcome it. However, that should only be things related to one’s personal life, never their work life. It’s scary, but people need to be ready to take care of themselves as it regards work, even if it means taking a shot at self employment… which is scary and empowering at the same time. Very true, Mitch. Even those events over which we have no control do not need to disempower us. If we experience a health crisis, a rejection, or a blow to the ego…these are all very real experiences and often we have no control over them. But we have absolute control over the way in which we respond to them. As you say, we do need to take control of our work life. Sometimes that requires us to be more flexible than we’d like or hoped to be. But, if we can be resilient in the face of our situation, we can adapt in ways that still empowers us.